UNA offers alternative master’s degree programs that lead to Alabama Professional Educator Certification in the following teaching fields: biology, business marketing, chemistry, early childhood education p-3, English for speakers of other languages, English language arts, family & consumer science, general science, general social science, history, mathematics, music-choral, music-instrumental, physical education, and Spanish. UNA offers traditional master’s degree programs that lead to Alabama Professional Educator Certification in the following teaching fields and instructional support areas: biology, business marketing, chemistry, collaborative teacher (special education), early childhood education p-3, elementary, English for speakers of other languages, English language arts, family & consumer science, general science, general social science, geography, history, instructional leadership, mathematics, music-choral, music-instrumental, physical education, physics, school counseling, and Spanish. In addition, non-certification programs in clinical mental health counseling and health and human performance are offered at the master’s level. 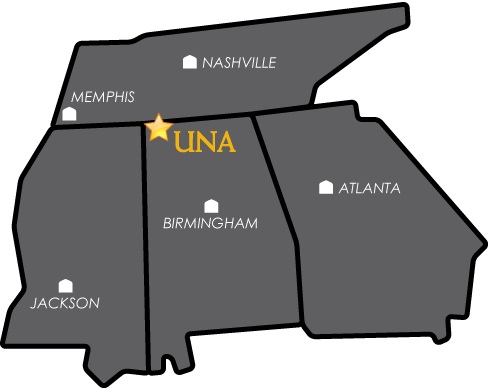 UNA offers the Education Specialist degree programs that leads to certification in elementary, instructional leadership, and teacher leader. *Candidates for traditional MAED programs with GPAs lower than the published minimum may be admitted with the official report of a passing score on the subject-appropriate Praxis II (per ALSDE set cut scores at time of exam administration) if they possess active, valid ALSDE licensure. View this presentation upon entrance into a graduate program. Return often to review its contents and updates.